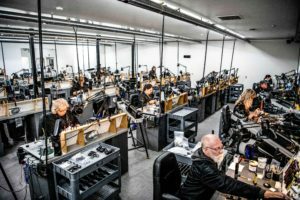 Nestled on a hill above Orofino, Idaho, overlooking the Clearwater River, is a modest campus that’s home to a state-of-the-art machine shop and an optics lab filled with engineers. The optical components used at this shop aren’t meant to be snapped into eyeglass frames, however. They’re a powerful and vital component of Nightforce rifle scopes. “It means a lot to us because our culture here revolves around our products. There is a lot of pride in what we do,” said Klaus Johnson, head of engineering at Nightforce. 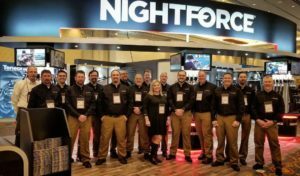 Although their scopes are used to win competitions for precision shooting and help defend freedom around the globe, Nightforce’s biggest asset is the passion their people have. “We are the first and only medical school in the State of Idaho,” said Stephanie Dillon, director of communications and marketing at ICOM. 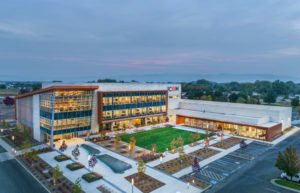 ICOM was founded by healthcare visionary, Dan Burrell, who funded $34 million to build the medical school in Meridian. Dan makes it his personal mission to bring healthcare access to the states and regions that need it most. Idaho, ranking 49th for the lack of physicians per capita and 50th for the lack of primary care physicians per capita, was a clear candidate. Dan’s generous contribution, among others, resulted in the newest and most technology advanced medical school in the country. 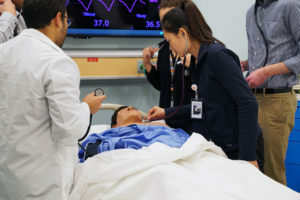 With access to technology that’s a mix of Tony Stark’s lab and Westworld, ICOM students are receiving an elevated level of education. The students at ICOM will complete two years on campus participating in didactic learning through lectures and labs. During years three and four of their education through ICOM, they’ll complete clinical rotations shadowing a physician. Stephanie goes on to share that Treasure valley growth and Idaho’s diverse geography are a distinct draw when it comes to recruiting. “Even the city kids like it here,” she said. 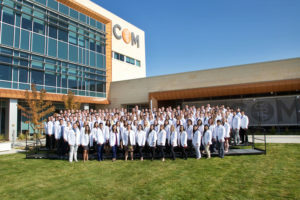 Whether they’re from New York, California or right in ICOM’s backyard, the students at Idaho’s first medical school have donned their white coats, passed their first semester, and are continuing full steam ahead towards graduation. Find the Idaho College of Osteopathic Medicine at 1401 E Central Drive, Meridian, Idaho, 83642 or at their home on the web, www.idahocom.org. If Disney has taught us anything, it’s that life is much better under the sea. You may think this is a dream far from reach, but Idaho Falls company Fin Fun begs to differ. These mermaid dreams began in Idaho with Steve’s mom, Karen. As a creative, fun-driven grandmother, Karen started making fins for her granddaughters in 2009. 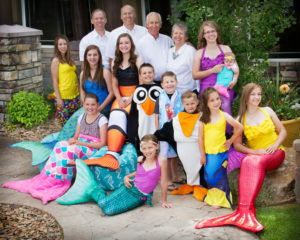 At the time, the Browning family mermaid tails were simply made of flowing swimsuit material, giving the illusion of the tail. After years of selling sparkly tails on eBay to buyers around the world, Fin Fun developed a patented monofin to enhance the ability to swim like a true mermaid. Not so surprisingly, the literature on developing a mermaid tail is slim-to-none. Steve said there were only a couple of companies in the world attempting to do something similar when their tails came on the scene, and most of the Fin Fun product development was through trial and error. Fin Fun mermaid tails continue to make waves across the globe. In 2017, Steve and his brother Eric received the Idaho Small Business Persons of the Year award from the U.S. Small Business Administration, and Fin Fun was recognized as the U.S. Senate Small Business of the Month in May that year. Today, about 20% of Fin Fun’s customers are outside the United States in over 100 countries including Canada, Australia, the United Kingdom and Germany. 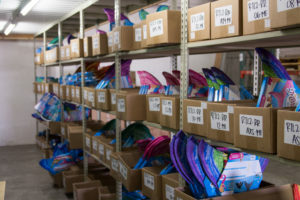 There is no doubt Fin Fun will continue to innovate and expand their product offering. From tails to blankets, dolls to books and an interactive website for kids, the world is their oyster. Follow the Fin Fun adventures on their YouTube channel or at their home on the web, www.finfunmermaid.com. Established as part of the Housing and Community Development Act in 1974, the Community Development Block Grant (CDBG) program, administered by Idaho Commerce, allocates funding directly to the State of Idaho. CDBG can assist cities and counties with the development and construction of public infrastructure and facilities. Funds are awarded based on several factors including percentage of local match, overall need, impact of the project and readiness to proceed. Carey City Park and the Kellogg Wastewater System Upgrade are two successful recent CDBG projects. The City of Carey, Idaho, was awarded a $55,000 CDBG for construction of a new city park. The grant will aid in installation and construction of two handicap-accessible parking spaces as well as a sidewalk to connect the spaces to the existing park pavilion. 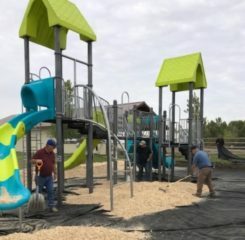 The Carey Park project also includes the purchase and installation of playground equipment. 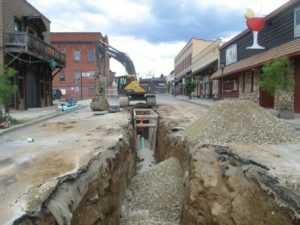 The citizens of Kellogg, Idaho, voted in support of an $8 million bond to replace the aging and faulty sewer lines serving the city. In part due to the city’s commitment of investing $8 million into their sewer system, the city was awarded $1 million in CDBG funding to assist in the design and construction costs. These improvements will help the city meet the Clean Water Act and provide for the infrastructure foundation that allows for economic growth. Click here for more information on the Idaho CDBG program. Disruptive (adj. ): relating to or noting a new product, service, or idea that radically changes an industry or business strategy, especially by creating a new market and disrupting an existing one. To be a member of the highly sought-after Inc. 500, companies must see their industry through a unique, disruptive lens. Luckily for company number 172, they’re driven by disruption. 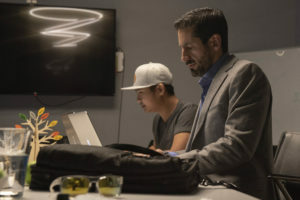 According to Jonathan Cardella, CEO and founder of Ventive in Boise, Idaho, the recipe is simple: “When you combine human capital with technology, you get creation and value,” said Jonathan. Ventive manages the design, development and technical challenges companies face when building and launching successful products. Their team is made up of over 80 employees worldwide including designers, engineers, product managers and technologists. Director of Client Success, Stephen Heath, emphasizes that their goal is to help businesses scale rapidly. Process and product development aren’t the only ways Ventive does things differently. Their office is also an incubator for many seed-stage companies, some of which, Ventive invests in. One of these companies, Revenly, is an example of how Ventive’s products are disrupting industries that have been plagued with problems for decades. According to Jonathan, the ability to review the balance, make a payment or set up payment plans through the app have resulted in an increase in payments. 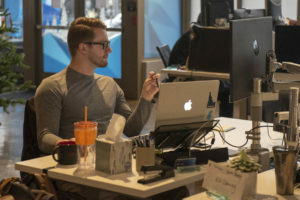 Ventive is dedicated to helping the companies who use desks in their space, but they’re also incredibly passionate about the workforce they’ve built in Idaho. Ventive is located at 121 N. 9th St., Ste. 101, Boise, Idaho 83702, or online at www.getventive.com. Super strength, super speed, super durability and super senses; Superman may be known as the Man of Steel, but what if the steel he’s named after was even stronger? On top of that, what if through the process of making the steel stronger, it became lighter? No, this isn’t foreshadowing to a future DC Comic Book. It’s the science behind Advanced Ceramic Fibers. Ken is the Chief Executive and Chief Operating Officer of Advanced Ceramic Fibers in Idaho Falls, Idaho, where they specialize in a proprietary one-step Direct Conversion Process™ that enables any material, including metals, ceramics and polymers, to be made stronger, lighter and able to withstand increased temperatures and extreme environments. Carbon fiber is purchased in shoestring-like spools of filaments called tows. Since carbon fiber doesn’t hold up well in very high temperatures or an environment susceptible to oxidation, it needs a shield. This shield is created from a thin layer of alpha silicon carbide that’s bonded to each individual carbon fiber filament during the Direct Conversion Process™. 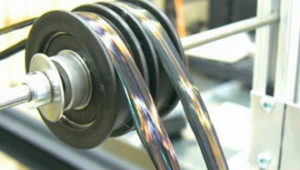 Converted carbon fiber on a reel. Alpha silicon carbide is second in strength only to diamonds, giving Fi-Bar™ it’s highly-desired qualities. Because of the Direct Conversion Process™, incorporating Fi-Bar™ into metals, ceramics and polymers increases their material characteristics, like strength, ultra-high temperature resistance and abrasion resistance, while reducing their weight. Fi-Bar™ can then be put into other materials, transferring those same properties along with it. “Think of the endless applications where increased strength and lighter weight are beneficial,” said Ken. From medical rods to turbine engines, and sporting goods to space, the potential for Fi-Bar™ is seemingly infinite, making Advanced Ceramic Fibers one of the strongest companies in Idaho…literally. The Advanced Ceramic Fibers production facility is located at 2300 N. Yellowstone Hwy., Ste. 210, Idaho Falls, Idaho 83401. Visit their home on the web, www.acfibers.com. As a soldier in the U.S. Army many decades ago, Gene Peet was fed up with putting on the same pair of sweat-soaked boots day after day. After being denied a second pair, Gene took to tinkering and developed a convection dryer out of beer cans to keep his boots free of moisture for the beginning of each shift. 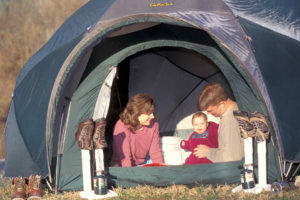 The young Peet family camping with an early PEET propane dryer. Gene’s invention later translated to civilian life as relief for loggers on the St. Joe river. After a long day splashing through currents, the loggers would wake up to frozen boots, thaw them in boiling water, dump out the water and climb back into them before heading to work. The boot dryer allowed the loggers to start out dry and start out warm. From wiring to heat resisters to each and every plastic component, PEET insists on the use of fire-resistant materials throughout, making their dryers the safest and most efficient on the market. 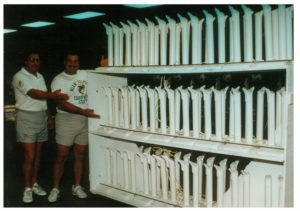 PEET Dryer in the Miami Dolphin locker room circa 1980. Starting out with a single-pair boot dryer, PEET has now expanded its lineup to include multi-dryers with glove ports, deodorizers and even specialty dehumidifiers for gun safes. Although their innovation continues to grow at a staggering rate, their roots remain deep in Idaho soil. 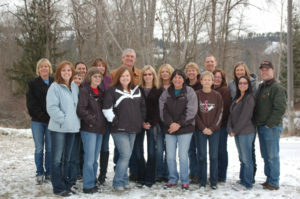 This family-run business emphasizes the importance of its employees, its customers and its community. “To have a factory like ours produce steady work and give people a chance to live the lifestyle they want is very special,” Andy said. 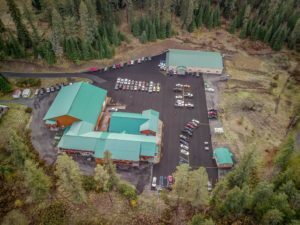 Learn more about PEET Dryer on our Tested in Idaho website or at their home on the web, www.peetdryer.com. Company Spotlight: Intermountain 3D, Inc.
Lynn and Brian Hoffmann have been in the business of unlocking imaginations since 2014. 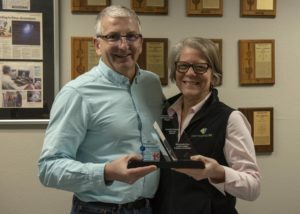 Lynn and Brian Hoffmann hold their 2018 Idaho Innovation Award finalist trophy. As the owners of Intermountain 3D, Inc. in Boise, Idaho, the Hoffmanns specialize in 3D design, prototyping and short-run production printing. Their service is vital to product development engineers and entrepreneurs who need to create a perfect prototype before putting tens of thousands of dollars toward molds required for high-volume manufacturing. “We’ll sometimes print 50 or 60 different iterations of parts and make adjustments for the company until it’s exactly what they need,” said Lynn. The Hoffmanns recently expanded their business with production capabilities designed to address the 50-500 part need for customers doing short-run production, or mass-customization of production parts. Interns sort and clean a recent printing batch. 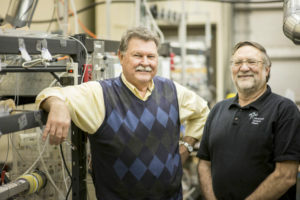 As Hewlett Packard retirees, Lynn and Brian are no strangers to the technology behind printing. After keeping their eye on the 3D printing market, the two decided to start their own business. Once their doors opened, it was time to get to work. Their first print project was an electrode adaptor for a neural researcher in Montana. “It was a highly precise job, as you can imagine, and he’s still one of our best customers,” Lynn recalls. Since then, Intermountain 3D, Inc. has been a go-to resource for reverse engineering of existing parts and creating prototypes and finished parts for everything from plumbing supplies to medical devices, assembly line equipment to fishing reels, and aerospace parts to elk bugles. Lynn and Brian feel fortunate to work with creative product developers throughout the west, putting their advanced manufacturing techniques and expert advice to good use as they help get products to market faster and more effectively. Intermountain 3D, Inc. is located at 9225 Chinden Blvd, Suite F, Boise, Idaho 83714 or online at www.intermountain3d.com. Breakfast burritos, sandwiches, salads and soups. Oh, the delicious soups. 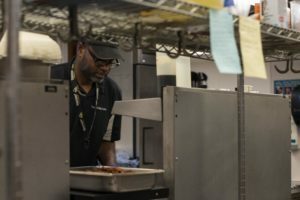 After 12 years and two previous locations, Tony and his family-run business recently landed in the tunnels of the Len B. Jordan building where he serves homemade meals to patrons from the surrounding Capitol block. 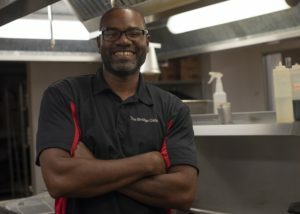 Slicing, dicing and stirring his way through the kitchen at Bridge Cafe, it’s evident that Tony has a rich history of culinary experience and training. What’s not as evident are the hurdles Tony has overcome to run a successful restaurant. In Idaho, visually impaired entrepreneurs have access to helpful resources through the Business Enterprise Program offered by the Idaho Commission for the Blind and Visually Impaired. 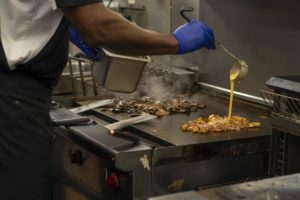 According to Program Supervisor Corey Bresina, the purpose of the program is three-fold: to provide opportunities for visually impaired individuals who have an interest and aptitude for operating a facility, to demonstrate alternative techniques for coping with visual impairment, and to educate the public regarding the ability of those individuals to independently operate a business. Tony emphasizes that he and his family work really, really (really!) hard for their customers, but don’t just take his word for it, head to Bridge Cafe to taste the difference for yourself. The Bridge Cafe is located at 650 W. State Street, Boise, Idaho. It is open from 7:30 a.m. to 2 p.m., Monday – Friday. This summer, the Idaho Commerce office got a little bit brighter with the addition of two new employees, Cherie Norris and Kathy Schofield. As an Idaho Commerce grants and contracts analyst, Cherie is responsible for reviewing grants, ensuring their terms are met, and verifying that funds are used in alignment with statutes and regulations. The bulk of her time is spent working with our Idaho Tourism team. Previously, Cherie performed similar roles with the Idaho Department of Health and Welfare and Idaho Housing. Cherie has two daughters, both University of Idaho graduates, and two dogs. She likes to spend her free time scrapbooking, knitting, cross-stitching and people watching. Administrative assistants are the glue of any office, and Kathy is no exception. After realizing how much she missed interacting with people throughout the day, Kathy came out of retirement to join the Idaho Commerce team. Kathy has two sons, one daughter, 11 grandchildren and two dogs. Her garden is full of greens and she enjoys quilting, puzzles and any activity that keeps her connected to her family.